Workers at Linden Hills Co-op won their election yesterday to form a union with the United Food and Commercial Workers, Local 653. 85% of workers voted in favor of unionization. “We are excited to begin the bargaining process because it is the next step in making our already amazing co-operative even more amazing. We love where we work. This is an extremely positive thing!” said Tracie Lemberg from Health and Body Care. Workers have begun circulating bargaining surveys to help the bargaining committee understand their fellow workers’ priorities. Workers want to actively ensure good jobs and a sustainable co-op that best serves the needs of the community. When workers first started discussing forming a union, they met at each other’s houses discreetly to create a safe space to refine their goals and identify who would be most interested in organizing. Support for these workers has been pouring in. “Our union is part of a bigger movement for change. We want to raise industry standards for all retail workers. This is an example of how workers have power when we act together,” said Judi Johnson, an executive board member of UFCW Local 653 who works as the Floral Manager at the Blaine West Cub Foods. “I’m excited that workers in Minneapolis are organizing a Union to secure long term improvements and ensuring good jobs in our city. Making sure workers have a voice on the job is democracy in action and is consistent with the spirit of democracy that is core to co-ops. As a member-owner at Linden Hills Co-op, I support these workers one-hundred percent,” said Minneapolis Mayor Betsy Hodges. “The organizing and activism of these workers is an inspiration to me and all the members of our Local. We wholeheartedly welcome them,” said UFCW Local 653 President Matt Utecht. 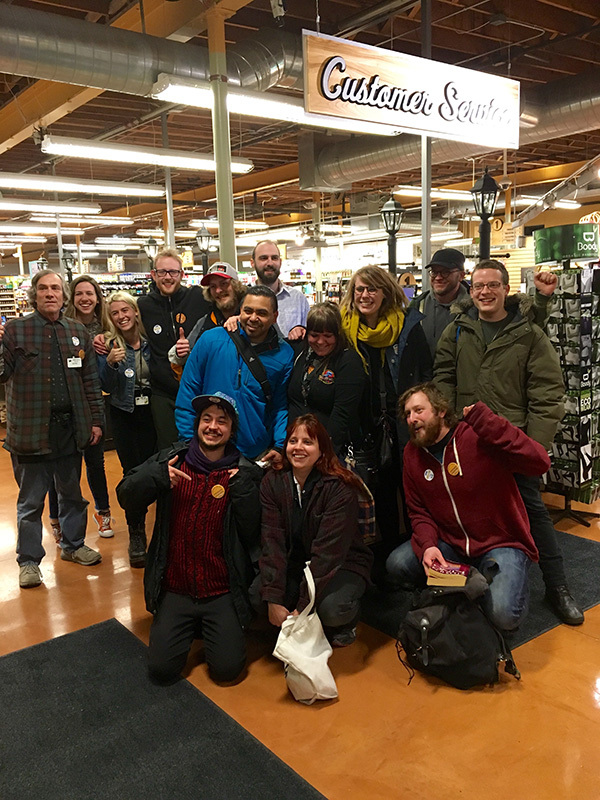 Linden Hills Co-op workers were inspired by other workers who recently organized a union at the Wedge Community Co-op and Whole Foods Co-op in Minnesota and the People’s Food Co-op in Michigan.